THE AWARD WINNING DOMES. The Buffalo Grove Golf Dome and the Addison based Links & Tee’s Golf Dome are both award winners again, Congrats to both facilities. BGG & SC on Old McHenry Rd. in Buffalo Grove (847)-459-2321. L & T’s on Lake Avenue in Addison. (630)-233-7275 EXT 4. 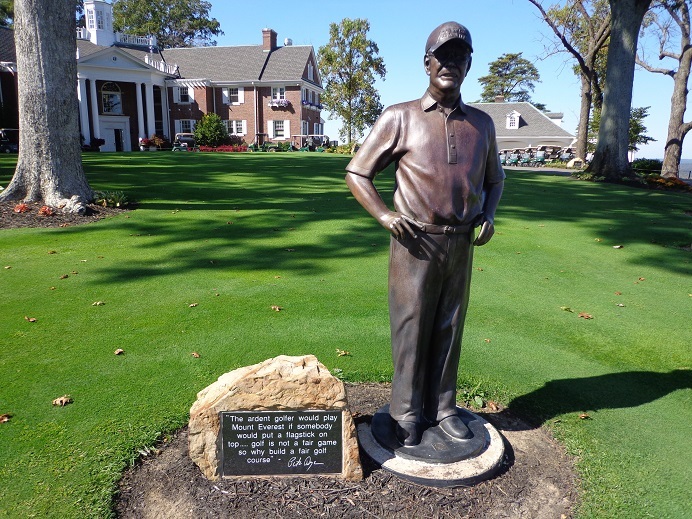 Happy Birthday Pete, yes I am a day late in our CST time zone but Happy 89th birthday to one of the great characters and creators in golf Pete Dye. The Hall of Fame architect has done wonders for the game of golf, he has created some of the games most interesting designs. 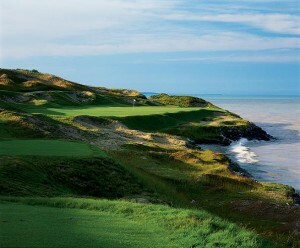 If your wondering about some of the great Pete Dye courses out there you can play. here are some of them. The Pete Dye Golf Course at the French Lick Resort in Southern Indiana. As part of the hundreds of millions of dollars spent to restore the famed property, Dye was hired to build a golf course on top of some high ground. From many of the holes, golfers on a clear day can see for over 25 miles. Dye created a breath taker complete with Volcano Bunkers, who said you have to travel to Hawaii to find paradise. The home of the PGA Championship in 2015, Whistling Straits Golf Links in Haven/Kohler, Wisconsin, part of the American Club Resort. 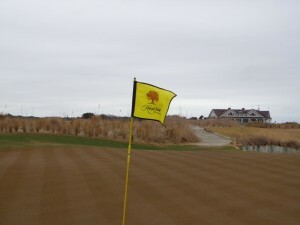 Dye designed all four courses for the resort, including the Top 100 rated River Course. (Straits Clubhouse Painting by artist Cassy Tully). The Kiawah Island Resort in Charleston South Carolina. 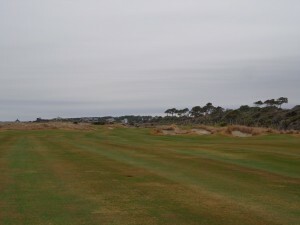 L to R hole 17 and hole 11 on the Ocean Course. The course has had the “War by the Shore” Ryder Cup and the 2012 PGA Championship that was won by Rory McIlroy. What’s up next is probably another PGA Championship, maybe not too many more years down the road The Ocean Course is one of Dye’s best courses. As Dye said, “not sure you could ever build this course again. We got to do somethings only because we had to repair hurricane damage to the area.” Dye doesn’t believe he could ever get the permits to redo what was done there in the late 1980’s. The Pete Dye Trail runs through Indiana, with several courses around the Indianapolis area, including the Brickyard Course that runs through the Indianapolis 500 race course. 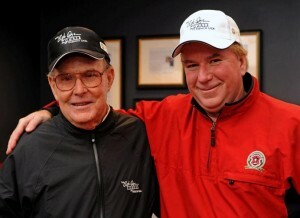 With Pete Dye at The French Lick Resort, Pete Dye Golf Course. HAPPY BIRTHDAY PETE, Have a great one, from all of us at Golfers on Golf.